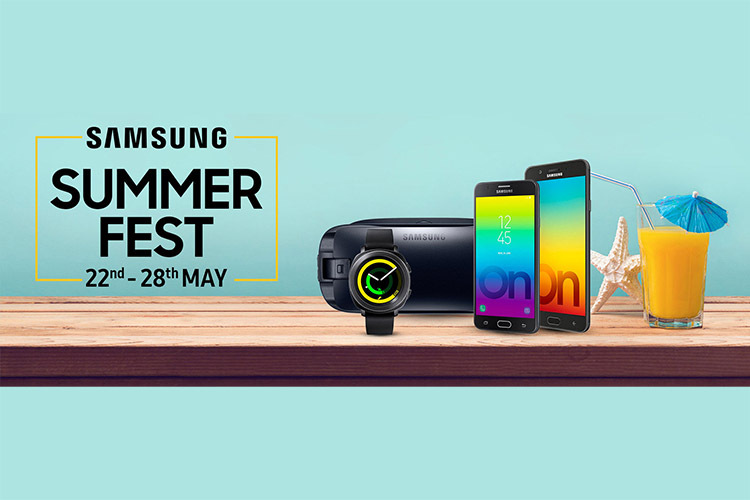 The upcoming Samsung Summer Fest, which will be hosted on the company’s own online platform between May 22 and May 28, will offer attractive deals on a variety of Samsung products, including smartphones, smartwatches, accessories, speakers, headphones, etc. According to a recent report from Gadgets 360, the company has partnered with Citibank for the duration of the sale to offer 10 percent additional cashback to all debit/credit card users. During the Samsung Summer Fest, users will be able to avail discounts on smartwatches like the Gear S3, Gear Sport, and Gear Fit 2 Pro. The smartwatches will be up for grabs at up to 19 percent discounts, priced at Rs. 24,500, Rs. 18,990, and Rs. 10,999, respectively. The Samsung Gear VR headset, which was originally priced at Rs. 9,900, will be available at just Rs. 8,225 during the sale. The company will also be offering Galaxy S8 and S8+ cases and covers at up to 51 percent discounts, with clear covers going for as low as Rs. 349, and LED and clear view standing covers available for Rs. 1,349. Samsung will also be offering JBL headphones and speakers at up to 22 percent off during the sale period and the company’s own DeX stations, which was originally priced at Rs. 8,290, will be made available at just Rs. 5,999. The company will also be offering up to 50 percent off on select products, including the U Flex headphones, Level Active headphones, Level Box Slim speakers, adaptive fast charging car charger, and more. Covers for a number of other devices have also been marked at a 50 percent discount, which are listed on the 50-50 store. The Samsung Summer Fest sale also has a section for ‘Unreal Deals‘, offering heavy price cuts on Samsung TVs, microSD cards, and Jbl On Ear headphones. Furthermore, the company will also be offering Rs. 500 extra with Cashify exchange and a hundred lucky customers will also stand a chance to win the Samsung Scoop speaker for free.